Back again with another dish that is waiting to be devoured. It is the Instant Pot or slow cooker green bean casserole. You can whip this up in your Instant Pot or even the Slow Cooker for a perfect side dish for your upcoming meal. 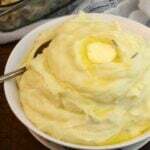 With Easter on the horizon, I thought why not share this dish, as it is traditional on being a side dish to an Easter feast. 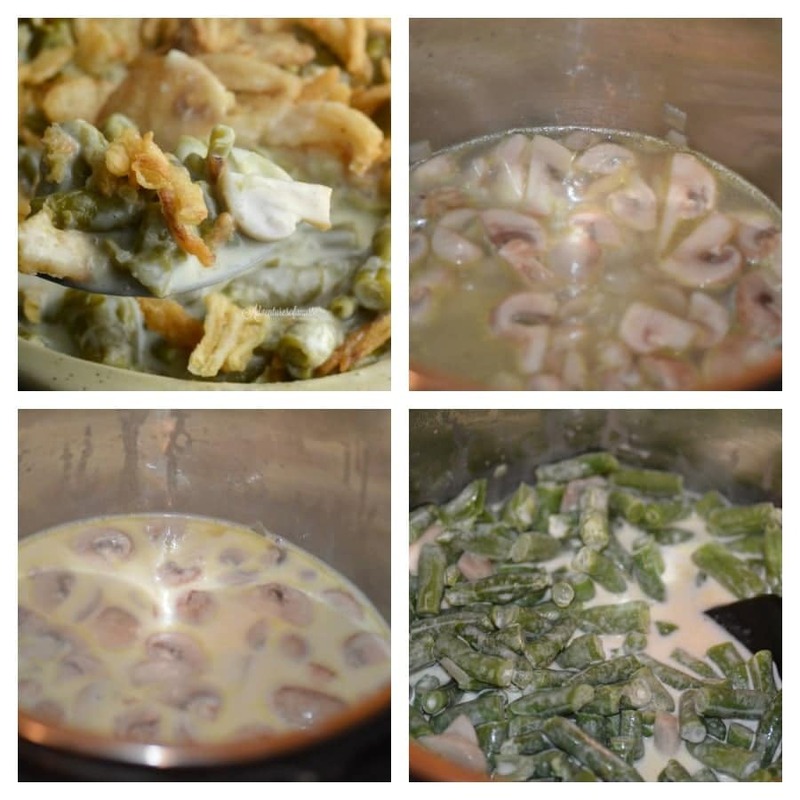 Instant Pot or Slow cooker Green Bean Casserole recipe contains no cans, it is all homemade, and let me tell you the flavors it creates is outstanding. 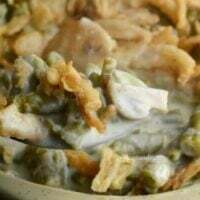 Instant Pot or Slow cooker Green Bean Casserole recipe has that creamy texture paired with green beans and topped with those fried onion bits, that just complete this decadent dish. 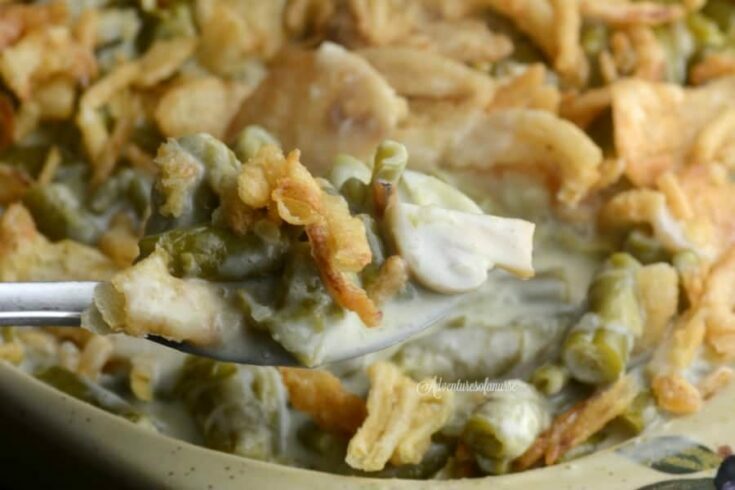 Creamy and full of flavor Instant Pot Green Bean Casserole perfect side dish for your Holiday meal. The holidays are coming up quickly. I love to make the classic green bean casserole along with my Thanksgiving dinner. This year of course you know I have this obsession with the Instant Pot so I had to try it out ahead of time. I can not believe how good this turned out and I did not use any canned soups. 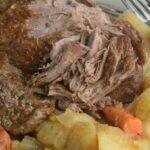 If you are looking for other great Holiday Recipes please join my group also check out my garlic and rosemary mashed potatoes, Instant Pot Honey Ham, and The Ultimate Instant Pot Pot Roast. I would consider myself a foodie, I love to try new recipes, incorporate new ingredients and see what happens. I chose not to use canned cream soups for this because I wanted a more wholesome flavor. Sometimes you can get that processed taste from canned soups, and I wanted this to be really light and fresh, and that is exactly what I got. Also, I used frozen green beans for this recipe, and I found that they held their shape really well, instead of turning mushy like canned green beans tend to do. I couldn’t be happier with the outcome of this dish! Green bean casserole is a dish that pretty much all households serve up around the holidays. Did you know that over 30 million households in the country serve green bean casserole at the holidays? Whether it is homemade or made from a can, it is one popular dish. While we all might have some unique side dishes and salads, we all can agree green bean casserole is a must for the holidays. This Instant Pot or slow cooker green bean casserole is full of rich delicious flavors, that will leave your guest wanting more. Trust me on that! Instant Pot Green bean Casserole contains no cans, it is all homemade, and let me tell you the flavors it creates is outstanding. You have that creamy texture paired with green beans and topped with those fried onion bits, that just complete this decadent dish. Melt butter and add chopped onion and mushroom cook for about 2-3 minutes until onions are soft. Do a quick release Add in 1-2 tbs of cornstarch to thicken. Top with French's Onions and serve. Warning this will go fast. 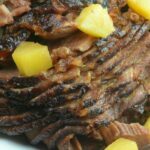 For Slowcooker: Directions are the same but cook on low for 4 hours. Do I need to double all ingredients or just the green beans? Thank you for not using canned soups. This way i can use this recipe in Germany too. – We dont have those canned soups used in so many recipes. I make my own “cream of” soups! It’s basically chicken broth, milk and a bit of flour! Google for an easy recipe and it keeps in mason jars in fridge and freezer! Never have to buy it again! And it’s healthier! This recipe calls for corn starch which is not in the listed ingredients. Does this have to be served right away or can I pop it in the oven and warm it a couple hours later?